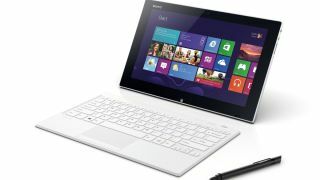 Sony has hit back at reports that it plans to sell its ailing Vaio computing brand to free-spending Chinese rival Lenovo. Reteurs had reported the pair were in talks over a possible 'alliance' which would see Lenovo - the world's largest PC manufacturer - take over Sony's loss-making Vaio unit. However, Sony immediately branded the reports 'inaccurate' and explained that, while it is still looking at options for its computing division, selling out to Lenovo isn't one of them. In a statement, the company wrote: "A press report on February 1, 2014 stated that Sony Corporation ("Sony") is discussing with Lenovo Group ("Lenovo") the possible establishment of a joint venture for the PC business. "As Sony has announced previously, Sony continues to address various options for the PC business, but the press report on a possible PC business alliance between Sony and Lenovo is inaccurate." Lenovo has had a big couple of weeks, by any company's standards. On Wednesday it rescued Motorola from Google's apathetic stewardship in a near-$3 billion dollar deal. During the previous week, it also announced a deal to acquire IBM's low-end business server units for another couple of billion dollars. First Motorola and IBM then the world... or something.